Great gummy bear goodness, these are tremendous in taste and size! Our giant gummy bears tip the sweet scales at over 3/4 of a pound each, and each big, smiling bear is just as tasty - if not moreso - as its tiny cousins. A great gift, or just-because treat for yourself or any gummy bear lover. 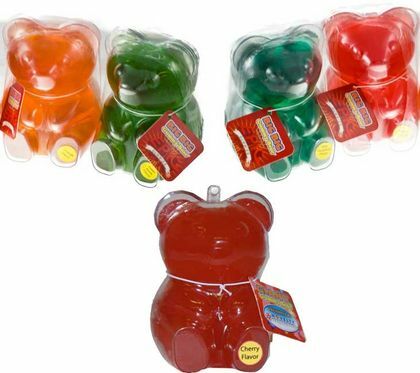 Our big gummy bears are available in Cherry, Grape, Green Apple, Blue Raspberry, Orange and Watermelon. The flavor we send to you will be randomly selected, but we promise they're all delicious! I bought these as a Christmas gift for my 3 nephews and 1 niece 2 years ago and they loved them! They thought it was the best gift ever. 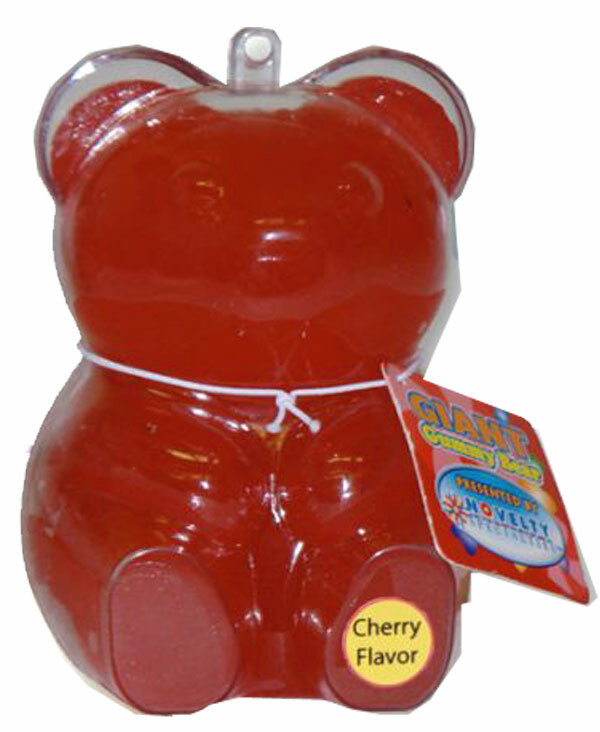 There is a bigger gummy bear out there but this one is truly big enough and they get to keep the clear case the gummy bear comes in. Last year for Christmas, I bought them individual gifts and they were all disappointed that I did not get them the giant gummy bear. So, this year I am getting them the giant gummy bear again!